While today's choice is sort of a cheat, it is a very timely one. I grabbed it because it features one of my favorite covers of all Dragons. The recent Doctor Who episode "The Eaters of Light" featured a story about the fate of the Ninth Legion of the Imperial Roman army in Scotland. My first thought was "well, we know it was Kostchtchie!" from Daniel Horne's fantastic cover. But once I grabbed it I also noticed how it was a really nice companion to my own Green Witch that was published yesterday. So nice in fact I put the magazine down until today! I didn't want anything in it unduly influencing me. Though in re-re-reading it now I can see there were some things there in 1987 that did stick with me over the years, including some more Doctor Who references. So set your TARDIS back to March 1987, put on U2's With Or Without You, and get ready for This Old Dragon Issue #119.
Letters cover a guy just discovering the Chainmail rules. Interesting to read, to be honest. We forget that in this day and age nearly every shred of information is literally at our fingertips. 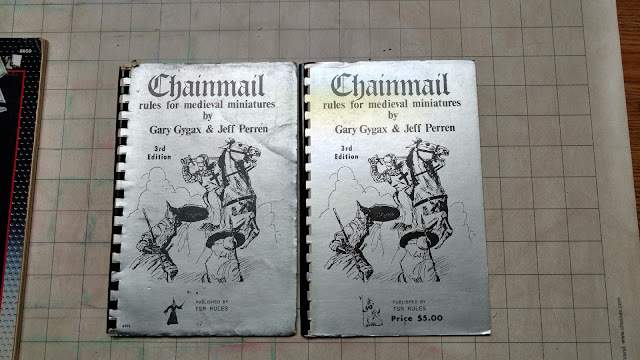 I just got another copy of Chainmail for my birthday from my old Jr. High DM. It is different than the one I had by a couple of pages. I am going to need to investigate that. The big feature of this issue is the section on Druids. I can't help but see the "Spinal Tap" Stonehenge every time I see the standing stones and lintel that works as the header for these articles. That aside this was one of my favorite series. I had by this time already written my first copy of the witch class. It was though lacking in some historical oomph. This series gave me a lot of inspiration on what can be done with the class AND what not to do. Not in terms of things being bad in these articles (far from it) but in terms of making my witches different from the druids. In fact I put these articles as "Must Reads" for anyone wanting to play a druid. Carl Sargent is up first with Underestimating Druids (is a bad practice). It's a look into the strengths of the class and giving them their due. Several tips and bits of advice are given for using the Druid in and out of the dungeon setting, but most telling (and also the most interesting to me) was a break-down of the XP per level and the amount of spell-power all the AD&D1 spell-casting classes had. The Druid comes out looking the best. Plus let's be honest, Flame Strike is a MUCH cooler spell than Fireball. Up next is an article covering the Druid in his role as a healer. We are warned that John Warren's "Is There a Doctor In the Forest?" is unofficial material. It is also closer to what we think we know about druids in real life; that they were the healers of their society. There is a ton of great ideas here for herbal and natural healing in AD&D. Unofficial or not there is a lot great rules here. The crunch is the same level as AD&D, so more than I want for an OSR or even a 5e game, but worth looking into the next time I play AD&D1 proper. On cue another ad for the Time-Life Enchanted World books! Next up is an article I had re-read a lot back in the Summer of 1987. From by William Volkart and Robin Jenkins we get On Becoming The Great Druid. It dealt with that little remembered now artifact of the Druid class that at higher levels you needed to defeat the druid whose level you wanted to take. I have to admit that at the time I was not fond of the idea, though now I see as a great plot and role-playing device. I was trying to come up with a way to add this all to my then current game. I never really did to be honest since I figured I needed to come up with my world-wide Druid religion. Of course, nothing in the history of the Druids supports the idea that would or even could do this (I was also reading some Margaret Murry, so I am excusing myself) but I got fixated on the idea I needed to figure out their complete religious structure first. I made some head-way and a lot of that was actually added to my Witch class with the "Court of Witches". I just replaced Great Druid with Witch Queen. The Grand Coven of the Earth Mother in The Green Witch also comes from those notes way back then. Rick Reid is up and has Cantrips for Druids - Naturally. Makes me REALLY glad I kept this to the side while working on the Green Witch and that I didn't put cantrips in that book. They will appear in the "The White Witch" later this summer. I talked about a lot of Beastmaster classes in an early version of Class Struggles. At that time I had forgotten all about this one though in re-reading it now I see that my DM's homebrew Beastmaster was based on this one. While not a part of the official Druid feature, Calle Lindstrand has the write up for The Uldra a new character race. The article is the type of "anything worth doing is worth doing to excess" type that I really love. We get a new race, a monster entry, and some gods. The Uldra themselves seem to be a cross between a gnome and a dwarf. I really hope that wherever Calle Lindstrand is that Uldras as written here are still part of their game. There is too much, well, love here to ignore. Uldras would later go on to be upgraded to a full offical D&D race. It is also one of the reasons while I like to include a new race in a book overtly about a class. 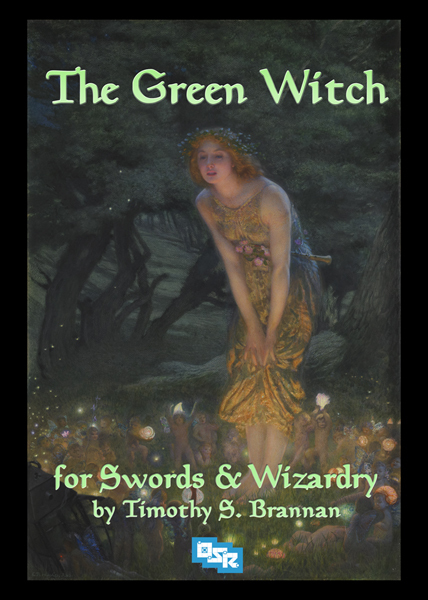 The Green Witch, for example, has another take on Gnomes for Swords & Wizardry. Ed is back with Ecology of the Korred. Given that it follows right behind the article on the Uldra I often conflated the two into one race. Not really fair to either to be honest. My then DM really enjoyed this article and it was the inspiration to the only "Dance off in D&D" I have ever done. I later stole his idea and had another Dance Off in Ghosts of Albion: Blight. Only this time it was against the Sidhe. This article also gives us a new god. 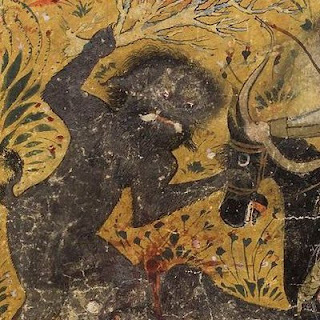 Dragon's Bestiary features some sylvan monsters for your game. Again, not exactly part of the Druid feature, but close enough that it fits really well. We get some fairly interesting creatures too. The Wild Halflings are great and I think I detect a bit of what would later develop in Dark Sun. The Luposphinx is a winged wolf/lion hybrid that doesn't seem out of place at all. The Leshy is based on some older fairy tales. There is another take on the Wendigo (none have every truly been "right" as far as I am concerned). The Wood Giant, which has since been promoted to the ranks of "official D&D monster". There is a Wood Golem here too. A bit about that. This wood golem never really stuck a cord with me. It was neat and all, but wood? Through flaming oil at it. It was not till I read the Doctor Who story Lungbarrow and their "Drudges" that gave me the idea for something new. I remember reading a story about an old witch that used to always say "If I'd had my druthers, I have my wooden druthers too." The Wooden Druther became my new Wood Golem. Wood Golems have also been promoted, but they will always take a back seat to my Druthers. Not bad. Half the magazine and all of it quality or really, really fun materials. In fact, if I had stopped here, 50 some odd pages in (minus ads) I would have considered it money well spent. I suppose it is also no surprise then that I like to include a lot of these same things in my own books; a class, races, alternate classes, monsters, and spells. 1987 was a turning point year for me really. 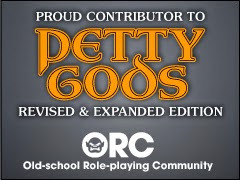 Charles Olsen is back with an article about NPCs; Henchmen and Hirelings. 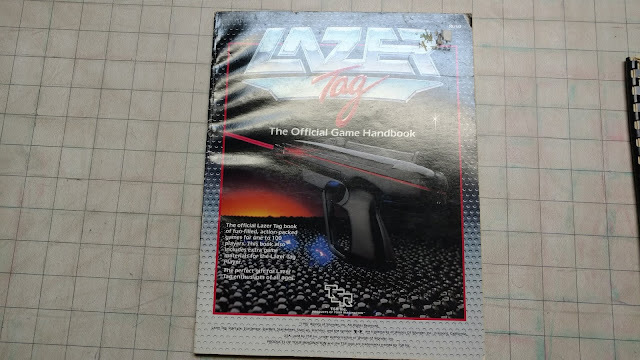 Five pages of material that looks liek it should work with any version of the game. Jeff Grub has Dinner With Elminster. The article is a bit silly to be honest but I tend to forget that 1987 was the year of the Forgotten Realms. While everyone else was falling in love with that my years-long game was about to hit its final Act. How long does it take to roleplay a massive war? Two years, give or take. The Gamma World article has some cryptic alliances in Politics Amid the Rubble. 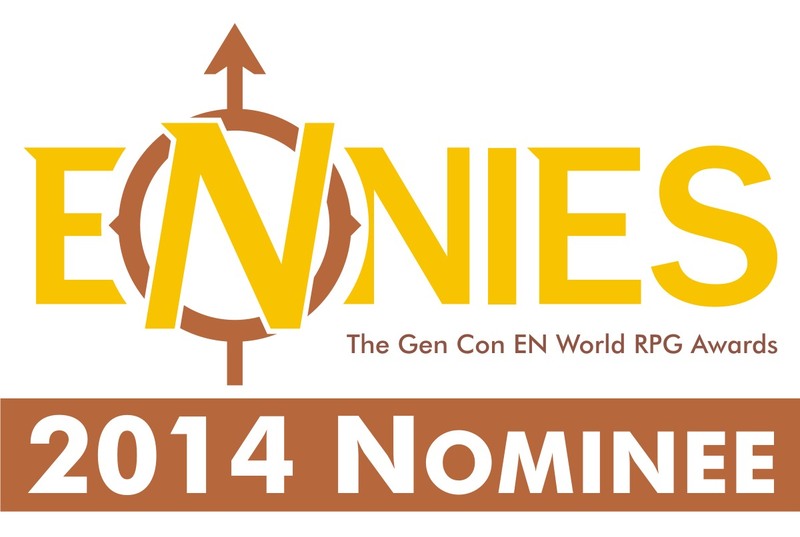 Just another reminder to me that I REALLY need to a Gamma World game going again some day. The Marvel-Phile (actually in this issue!) has Psylocke in her pink outfit. Just as an FYI Oliva Munn, the future movie Psylocke is only 6-years old at the publication of this issue. TSR Previews covers the new and hot items of April and May 1987. Make sure you get your copy of the Lazer TagTM rules. I did! In May we get the first of GAZ series for Mystara and the Known World, GAZ1 The Grand Duchy of Karameikos. Lots of Cons advertised and some small ads. Finally, we get Snarf Quest and Wormy. Little did I know that Trampier and I would be heading to the same town to live more or less around the same time. I see the seeds of ideas here that later germinated in games I played then and later in college and now in the stuff, I put up here. Want to know what I was saying about White Dwarf magazine during the same month? Check out my White Dwarf Wednesday for issue #87. The Green Witch is now out! Pick up a copy today for Swords & Wizardry. Nice review, Tim. It reminds me I need to let my wife see what is behind the cover because she is playing a druid in the bigger group campaign right now. Thanks for the reminder (and killer song by U2, along with most of my 1987 music). I'll need to check out the Green Witch when I receive my next issue of "green currency." Thanks! Can't wait to hear what you think. I think that the Druid requirement to defeat each other for higher levels is based in part on the story of the rex Nemorensis, the priest of Diana of Nemi. Personally, I like it, as well as the similar requirement for the Monk (which is based more on the general kung fu film conceit of testing skill against each other). In the case of Druids, it helps balance out that extra spell-power and relatively low XP requirement. For Monks, it pushes them to play a little like they're in a Shaw Brothers film. In both cases, it rewards clever play, since the characters go in to the challenge automatically outclassed, meaning that they have to leverage things outside of their character sheet to succeed.